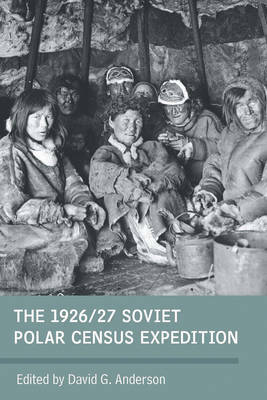 "This a much-welcome addition to the modern English-language reference library on Siberian indigenous people and the first book-size effort to address their plight and status from the perspective of the Russian archival statistical and documentary records of the early 1900s. It is an outcome of a monumental collaborative project." * Igor Krupnik, Smithsonian Institution In 1926/27 the Soviet Central Statistical Administration initiated several yearlong expeditions to gather primary data on the whereabouts, economy and living conditions of all rural peoples living in the Arctic and sub-Arctic at the end of the Russian civil war. Due partly to the enthusiasm of local geographers and ethnographers, the Polar Census grew into a massive ethnological exercise, gathering not only basic demographic and economic data on every household but also a rich archive of photographs, maps, kinship charts, narrative transcripts and museum artifacts. To this day, it remains one of the most comprehensive surveys of a rural population anywhere. The contributors to this volume - all noted scholars in their region - have conducted long-term fieldwork with the descendants of the people surveyed in 1926/27. This volume is the culmination of eight years' work with the primary record cards and was supported by a number of national scholarly funding agencies in the UK, Canada and Norway. It is a unique historical, ethnographical analysis and of immense value to scholars familiar with these communities' contemporary cultural dynamics and legacy.